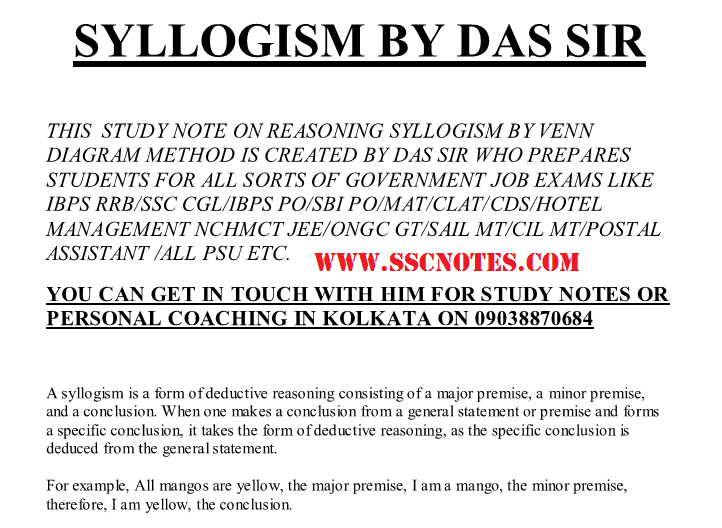 Hello Friends, Today we are sharing with you Tricks and Tips to Solve Syllogism Questions. 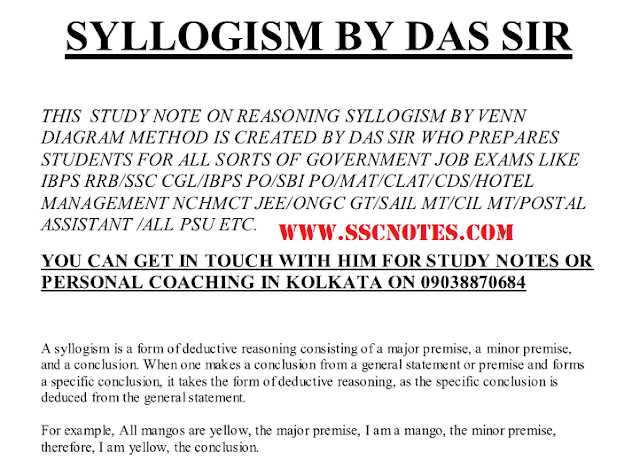 This is notes prepared and compiled by DAS Sir and credit goes to him. This notes is very useful for upcoming various competitive exams like SSC CGL, SBI PO/Clerk, IBPS PO/Clerk, SIDBI, CPO, CHSL, RRB and other common written exams. You may download pdf from the link provided given below.